Have you ever tried to serenade a lover underwater? Or sing a song of friendship in the deep end of your neighborhood pool? If you haven’t already, don’t bother. Human musical tones don’t translate at depth — at least not from our vocal chords. Whale songs are a whole other story. Take a dive with a singing humpback and you’ll be astounded by what you hear. Don’t feel like tracking one down? Check out this video. Whale songs are as mysterious as they are beautiful. It took more than a biologist to decipher their music; it took a musician. Today, artists sing human songs about whales, and the SETI Institute uses whale songs to help hunt for extraterrestrial life. Human uses of the whale song are clear, but no one can quite agree on how the whales use them. There are definitely some interesting theories. Male humpbacks are known to sing elaborate songs during mating season. This has led some scientists to the hypothesis that the music is little more than a mating call. Other scientists think that the songs are used for male bonding. You can think of it as a periodic group hug meant to build camaraderie and trust during their competition for a mate. Any mating-only theory neglects one important detail: Whales don’t only sing during mating season. It might be a much more complicated form of communication than we guess. Or maybe whales can breed outside of their breeding grounds and season, one researcher suggests. Little is certain, and we’re still learning new things. 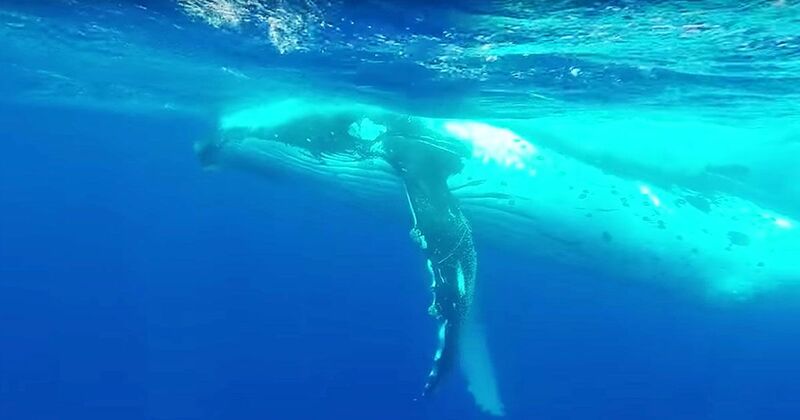 In 2015, researchers heard an entirely new sound for the first time — a low-frequency beat pulsating through humpback mating grounds. Could it be that the female also has a song? Only time and research will tell.